We’re taking a two week break to rest and relax on the Outer Banks of North Carolina. I brought some books with me, as is my usual practice. Only one of them ended up being for the youth market. Corrie ten Boom and her family are watchmakers in Haarlem, Holland, where they give what little they have to spread God’s love and help others. But everything changes when World War II erupts and Hitler’s army takes over their country. As the Nazis round up Corrie’s Jewish neighbors and send them to deadly concentration camps, she knows that something must be done to stop them. But what can one small family do in the face of such great evil? 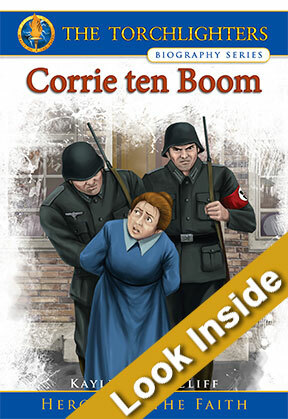 Read the amazing true story of Corrie ten Boom, a Torchlighter® hero of the faith, and discover how her obedience to God saved lives and continues to inspire others today. My hope is to blog a few times while we’re away, so don’t go far. 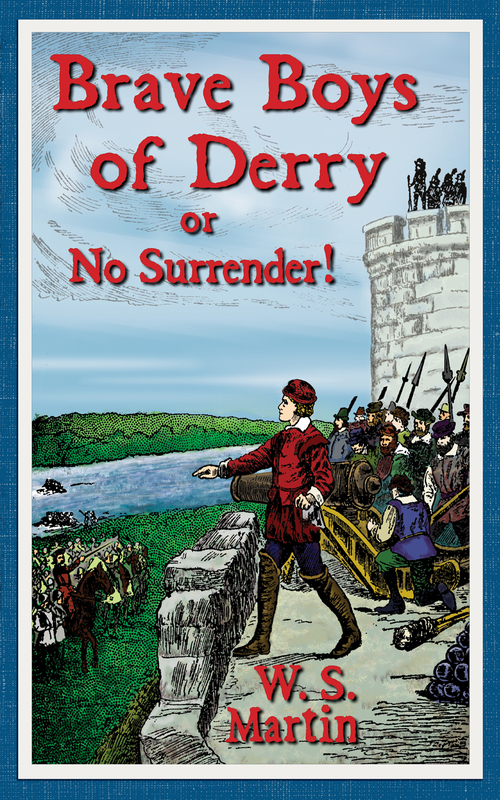 An engaging historical narrative for boys is what you’ll find in Brave Boys of Derry or No Surrender! by W.S. Martin. King James II runs away from England and soon ends up in France with his friend Louis XIV, plotting and planning the downfall of England. The army in Ireland was committed to restoring King James II to his throne. The residents of Londonderry, however, were making preparations for a prolonged siege. The French officers that followed James on his journey to Dublin decided that it wouldn’t be long before Londonderry was in their hands, if the residents put up any type of fight at all. The Brave Boys of Derry or No Surrender! is a true historical narrative that shares the story of the 1689 siege of Londonderry, where thirteen brave apprentices planned to close the city gates and resist the conquest led by the deposed King James II of England. The city was never intended to withstand a siege and traitors were among them. But the residents of Londonderry stood firm, despite potentially starving to death. Victory would be theirs! 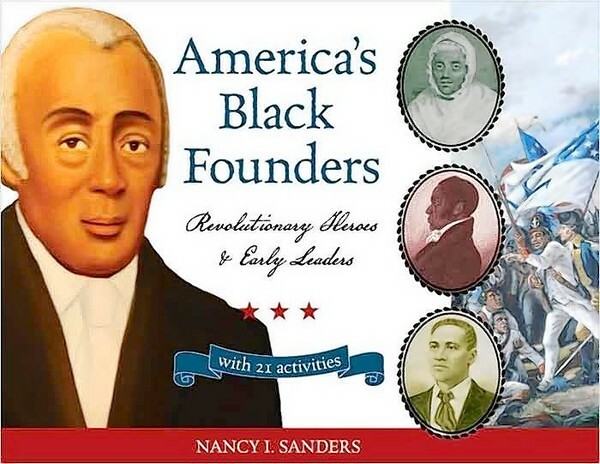 In this engaging historical narrative, young readers will learn a part of England’s history. While the Preface says this is a story that boys and girls of the present should know about, it’s definitely more of a boy story for those without ties to England. 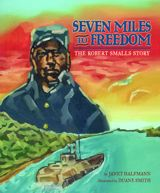 Nordskog Publishers has reprinted Martin’s story that celebrates victory. The original was written around 1900. Martin actually ends the book by telling the reader about his visit to Londonderry in the early 1900’s and also includes a poem written by Mrs. C.F. Alexander about the siege. What I truly enjoyed about Brave Boys of Derry or No Surrender! is that it is written in a style that pulls the reader in, even though the narrator is definitely telling a story. I could definitely see children around a campfire listening to this story being read aloud. 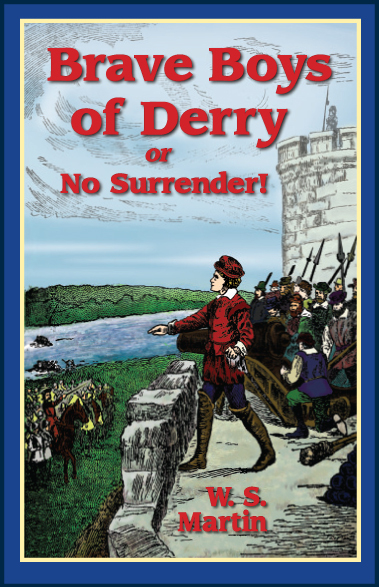 If you’re looking for a book that will educate and entertain, Brave Boys of Derry or No Surrender! fits the bill.